Visit Italy every Tuesday night with Barassis Restaurant at Cazalys Cairns! 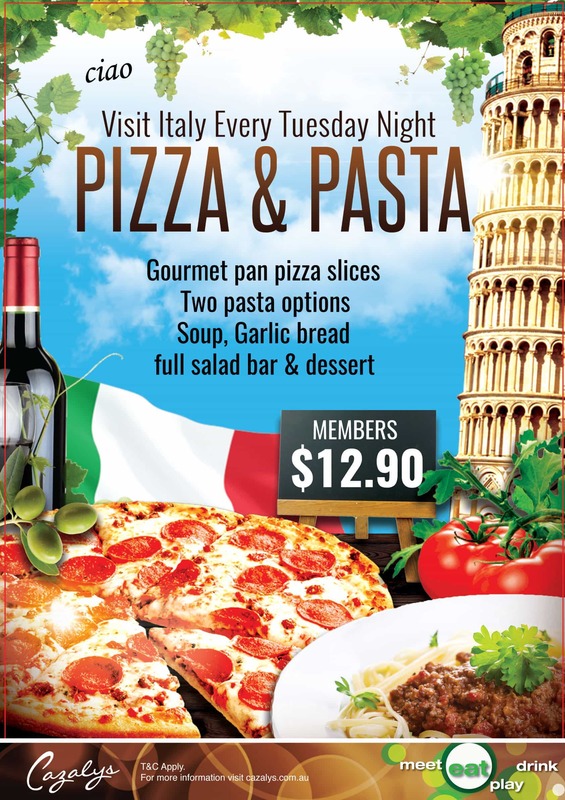 Members can enjoy our Pizza & Pasta Tuesday night special for only $12.90* with gourmet pan pizza slices, two pasta options, soup, garlic bread, full salad bar and a dessert. Delizioso!! T&C apply. While stock lasts.